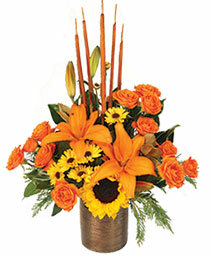 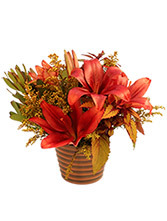 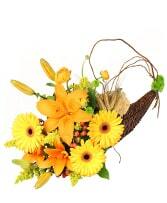 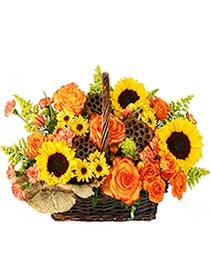 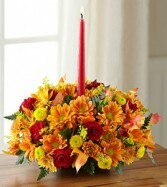 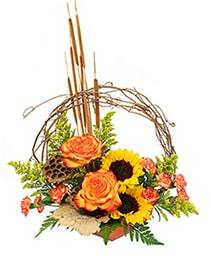 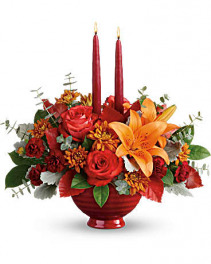 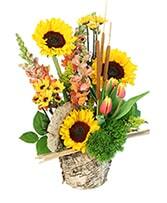 The perfect fall taper centerpiece. 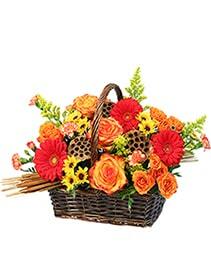 Filled with a lovely variety of fall mums and carnations. 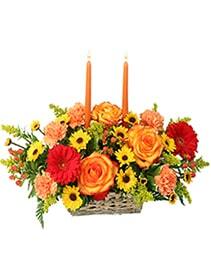 Perfect for any Thanksgiving Table. 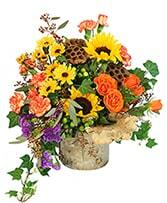 Filled with the colors of fall. 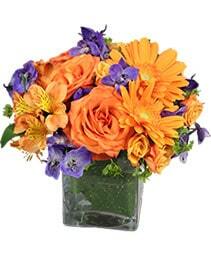 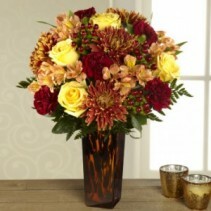 A beautiful hand blown vase filled with a mix of fall roses, berries and mums. All the colors and textures of the season. A lovely gift with a stunning keepsake vase.